Heat the oil in a pan on medium heat,saute onions until lightly brown ,about 2-3 minutes,add garlic and cumin,saute another minute.Turn off the heat.Now stir in the almonds,bread crumbs,herbs,season with salt and pepper.Transfer to a mixing bowllet cool for a minute,add in mayonnaise or silken tofu,lemon juice ,and combine well until everything is incorporated and the mixture come together.Make a log by rolling in a Parchment paper or plastic wrap.Slice and serve on toasts or sandwiches with fresh greens and sliced tomato.Can be store in refrigerator for up to a week. An all vegetarian pate,that's very rare recipe,must say very healthy too. This looks so delicious! I love almonds, they taste great and they're so healthy. congrats on receiving the prize! Yummy yum Yasmeen...The pate gives a direct invitation to come nad have..h aha..
this is unususal, healthy, innovative, n yummy.......you are so innovative dear..like always..
That pate is so deceptively meaty looking - I would never have imagined there's no meat in it! Sounds delicious...could you share this with JZ who is hosting Lets go nuts with almonds this month - it is absolutely perfect for it. Wo almond paté looks amazing, thats a wonderful gifts Yasmeen!! Wow this is bursting with flavours and really healthy and delicious. I received those bags too, aren't they so cute! Yummy, mouthwatering pate! Thanks for visiting my blog and supporting me. I saw you requesting her to remove the photo. And also she removed the thattai and hid the comments' section. Thanks. yum yum and delish dish yasmeen.. lovely bag too u got. congrats dear. Almond Pate is one of our all-time favourites. Thank you, Yasmeen. I like the sound of almond pate. Wow and thanks for the yum entry,Love it Yasmeen,it looks very perfect. Sounds very spicy and nice. I love almonds...include them daily in diet. Will try this recipe for sure. Beautiful bags, congrats dear & enjoy. almond pate looks gorgeous Yasmeen! Nice recipe. Bags look so pretty! Congrats! Oh wow that looks so simple and good, I think I will try it. I have SO many breadcrumbs waiting to be used. I love the bags super cute. 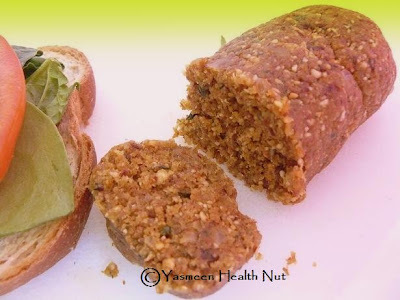 Almond pate looks so gud.. nice crunchy an healthy, shall try :)!! yummy...looks very tempting. congrats and those bags are super cool. What a great recipe. I thought it was a dessert when I saw your picture. BTW pâté means paste in French. thanks for correcting me Ivy,I'm zero in french. Congrats...Beautiful bags..dish is looking delicious..
Almond pate looks delicious. 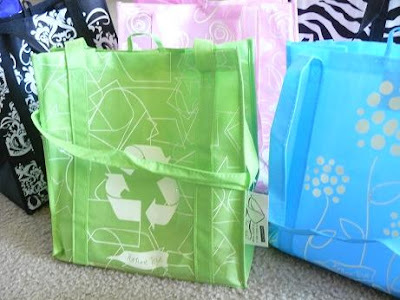 those bags are so cute :) congrats on winning it! Almond pate is delicous one! Congrats our win! Congratulations for the well deserved pretty bags:)..amazin innovative Almond Pate..u rock gal!! Delicious..Looks so soft and fluffy..Healthy and perfect. that pic is very tempting yasmeen! the almond pate sounds interesting. congrats on ur win and those lovely bags! thanks for sending it to lets go nuts : almonds. This sounds incredible! I'm not a fan of meat pates but I love the idea of one made of almonds!